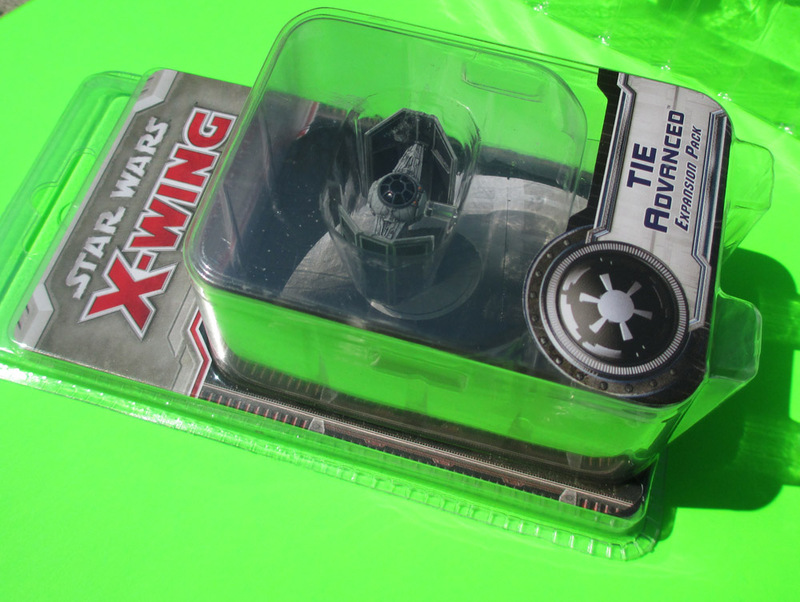 Last December my husband bought me the Star Wars X-Wing TIE Advanced ship as a gift. I love the Darth Vader character from Star Wars and have a fondness for the cool TIE fighter that he flew. So needless to say these cool little ships are eye catching items. 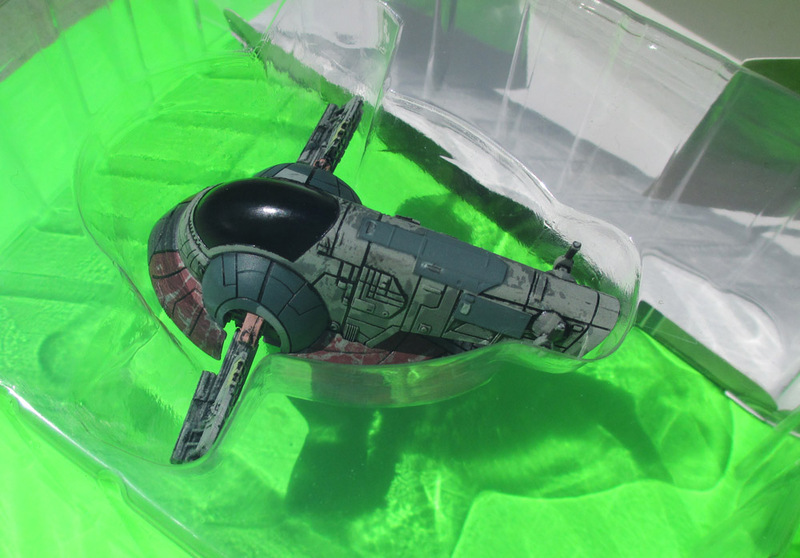 I recently bought my husband the Slave I ship that was flown by the Boba Fett Star Wars character. 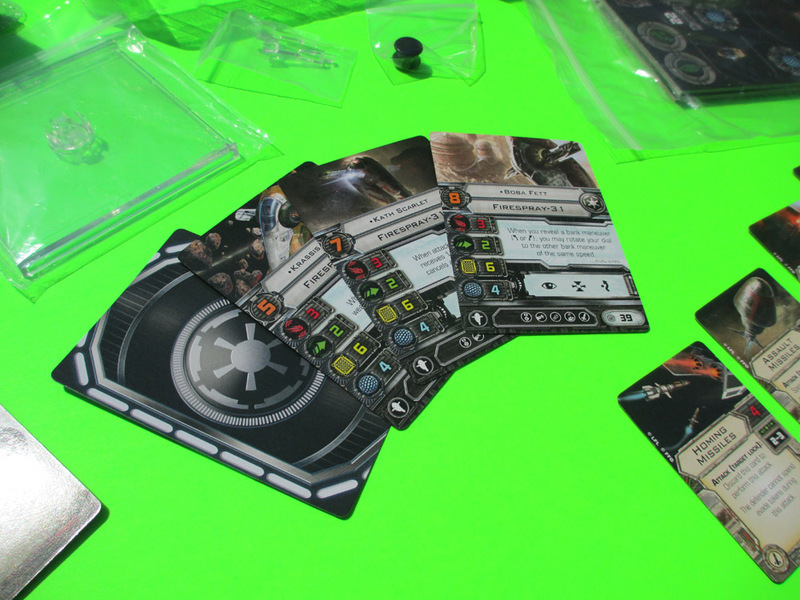 So now we have two of these ships from this game set, so the next natural question is…..what is the game like and would it be fun to play? So we decided to do an “unboxing” of the Slave I ship for a podcast. We thought this would be fun since the box listed all sorts of pieces. The packaging itself showed a great deal of care into making sure that these somewhat expensive little ships were not damaged along with the other pieces that were included. Tiny zip bags held the plastic stand and its pieces along with the cards that were included. As you can see the artwork is pretty nice and the printing is well done as well. 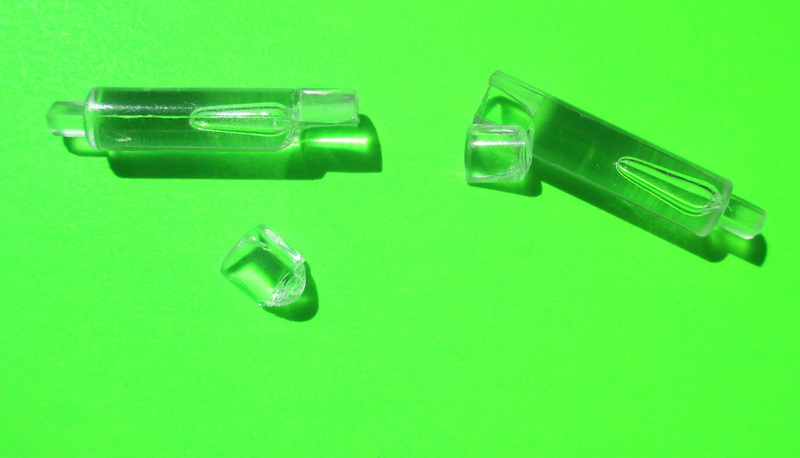 The only real problem I encountered while doing the podcast was trying to get the tiny plastic stand pieces together. I actually broke both of the tiny plastic stand pieces, which upset me. I am pretty careful with things and this was an unpleasant surprise. After some careful examination later while setting up the parts for photos, I discovered that the tiny posts were not the standard round peg going into a round hole. They appeared to be a triangular shape, so one has to be very careful when trying to put them together. I had no idea since we were filming an “unboxing” and wanted our reactions to be genuine. You can see how the parts broke in the picture to the right. I felt bad. I broke my husband’s birthday present. Another thing we learned is that we need an additional part to the game. 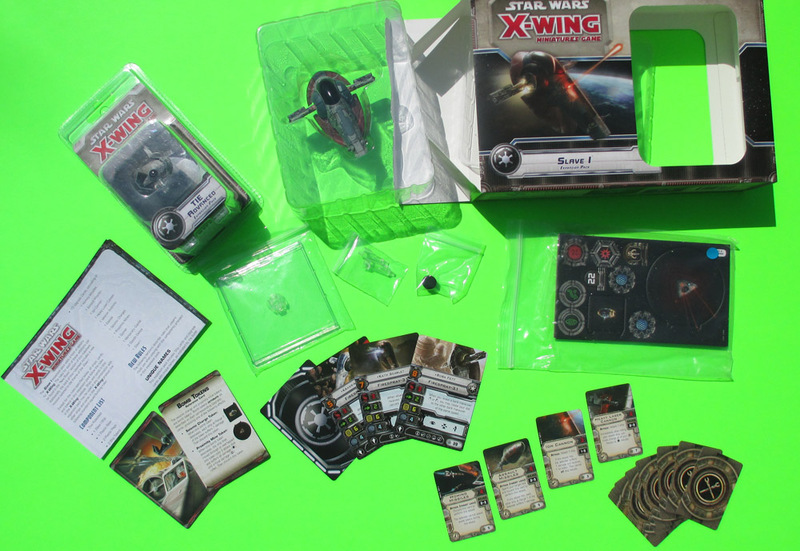 There is a starter’s package that has all the rules and instructions on how the game is played, so we shall have to obtain one of these before we can actually figure out how to play. And you may be wondering why we didn’t just offer to show you the podcast? Well, one of our crew members who was acting as the cameraman did an “Amy Farrah Fowler” and forgot to turn the camera on. So, hopefully when we get the actual instruction box to the game, we will get that on film. That will be for the User Friendly Podcast that you can catch on the User Friendly website. Please feel free to check out what we currently have.